There’s a tradition in Hawaii of creating spectacular ocean side golf courses alongside the higher end resorts. 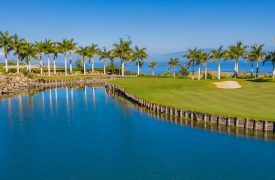 Especially along the western, sunny Kona side of the island where conditions stay predictably warm and calm, there’s no end to the beautiful courses you could play during your Hawaiian vacation. 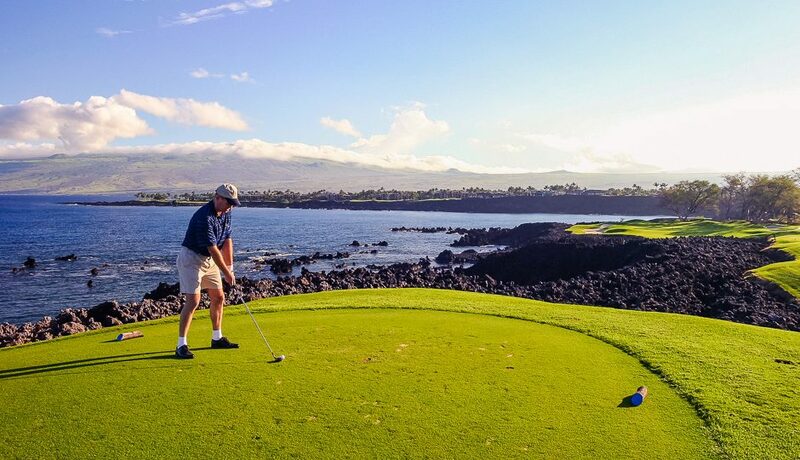 And while there’s plenty to do on the geographically diverse Big Island, you could certainly dedicate an entire week to golfing and only see a fraction of the incredible courses available to you, but these take the cake if you want to golf at an oceanside course. Designed by Arnold Palmer and Ed Seay, Hapuna Golf Course is an incredible sightseeing experience alone – views of world-famous Hapuna Beach give way to lush lava fields and an excellent view of the volcanic mountains to the east. Stretching over 6,900 yards, the highlight here is No. 12, a Par 4 that offers colorful views of neighboring Maui on clear days. Built in 1964, the Mauna Kea Golf Course is one of the most popular in the Hawaiian Islands and offers incredible views of the geographically diverse Kohala Coast. A mainstay of Golf Digest’s Top 100, Mauna Kea combines dramatic natural views with challenging course design and memorable holes at every turn. One of the most popular tournament golf experiences on the Big Island, Mauna Lani offers two 18-hole courses, ensuring a visit to the club will provide an excellent, challenging time for every player. The South Course’s No. 15 is especially gorgeous, having been photographed more times than any other hole on the island and the North Course’s No. 17 overlooks a natural lava amphitheater – a must-see for golf lovers of every stripe. More good news, the Mauna Lani Golf Courses will remain open during the 2018-2019 resort renovation. The Beach Course is incredibly popular on Hawaii Island because of the amazing views, especially as you approach the number 7 tee box. With the Pacific Ocean right before you and lava bordering the fairway, it is truly one of the most stunning golf experiences available. 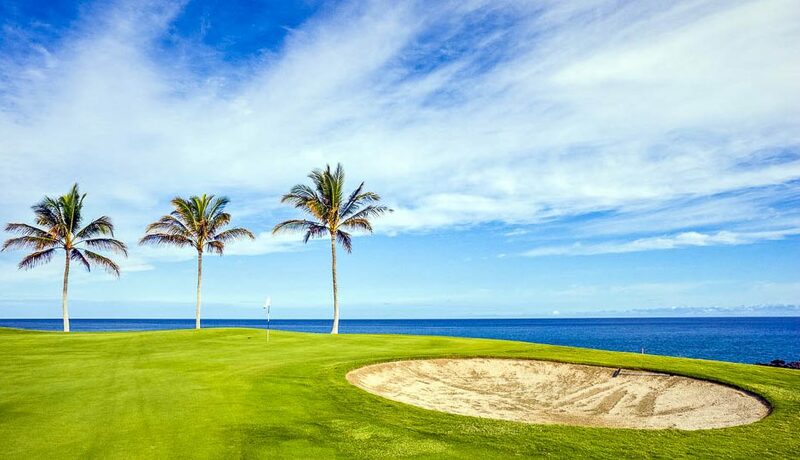 The putting green is ringed by coconut palms and crashing waves that make for a great photo opportunity with your friends on this scenic hole. To ensure your event goes off without a hitch, opting for a resort-based tropical wedding ceremony and reception will give a lower stress, more all-inclusive wedding experience. Offering pristine golf conditions and stunning views, the Makani Golf Club is an amazing place to check out the golf scene during your Hawaiian vacation. 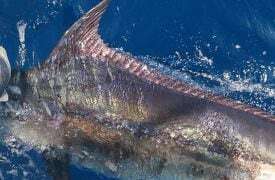 For an adventurous Big Island vacation, a private fishing charter with Kona Sea Adventures promises excitement and luxury at an affordable rate.